Part of the Latebloomers’ Animal Alphabet Series, the iconic Sperm Whale of the Deep. 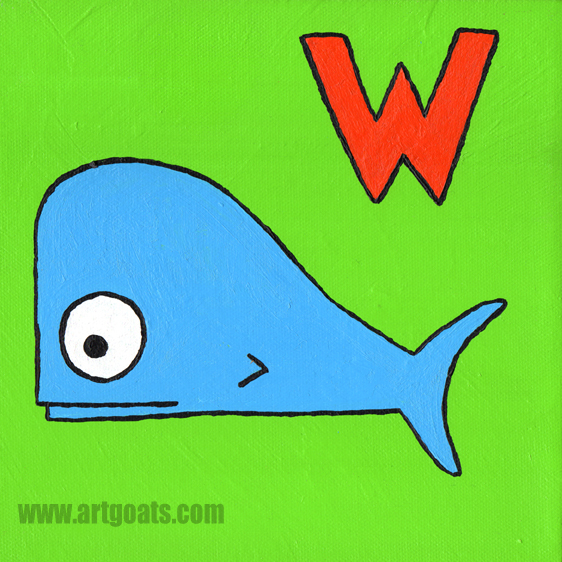 “W” is the letter of the day. Original acrylic painting on 8″x8″x1.5″ museum wrapped canvas. Ready to hang or free standing.